Our Board of Directors and advisory board provide strategic direction as we preserve the land and wildlife of west-central Indiana and provide opportunities for outdoor recreation and environmental education. Phil Cox lives near Coxville in Parke County with his wife Annette and son, Carson. They also have three fledged from the nest, Cameron, Terah and Kemp. Phil is a graduate of both Purdue University (Forest Engineering) and Indiana State University (MBA). He is currently employed by Purdue University as the Agriculture & Natural Resources Extension Educator for Vermillion County. As such, he has kept local citizens informed about agriculture, horticulture, and natural resources issues/education via many means, including Purdue Master Gardener and Indiana Master Naturalist programs since 2012. Before that he was the Natural Resources Administrator for "many years" at the US Army's 7,000+ acre Newport Chemical Depot, also in Vermillion County. Travelling and keeping up with Carson's many Scouting and sporting activities are some of his most fun hobbies. Hansford Mann has been involved in West Central Indiana Land Trusts beginning with the formation of the Sycamore Trails RC&D Land Trust Committee in 2001. The original committee was successful in accepting a Conservation Easement of 248 acres in Western Vigo County. Eventually Sycamore Trails RC&D transferred the original CE to OLC when OLC received their 501C3 status. Hansford currently serves as Acquisition and Stewardship Committee Chairman. His responsibilities include meeting with prospective CE property owners and negotiating management contracts as well as those who want to donate properties to OLC. He is also largely responsible for annual inspections of existing Conservation Easements. Hansford and his family live on 367 acres of property in Clay County which is all devoted to tree plantations, warm season grass plantings and lakes. Ron is a Terre Haute resident of several years. He and his wife, Aleta, moved to the area from the northern suburbs of Chicago in 2010. Both grew up in Indiana and attended Indiana State University. Ron received a masters degree in science from Purdue University. He was a science teacher for many years and later became a systems analyst for several companies, including Walgreens--from which he retired. Ron volunteers at a local food pantry, and enjoys helping out with the Ouabache Land Conservancy stewardship programs--some involving the removal of invasive species, and others the checking into potential acquisition properties. He also enjoys fishing, bird watching, hiking through a woods or up a mountain, gardening and spending time with his five grandchildren. "Dr. George Bakken is Professor of Biology Emeritus at Indiana State University. He obtained a Ph.D in physics at Rice University in Houston Texas. He then studied biology as a postdoctoral fellow at the Missouri Botanical Gardens and the University of Michigan under Dr. David M. Gates. He has published 75 papers on various aspects of biology and physics, most involving the application of physics to ecological questions, such as thermoregulation and microclimate. He fights honeysuckle on his 3-1/2 acres in Vigo Co, enjoys ecotourism, nature photography, and flying his Cessna. His wife and two adult children are avid outdoors-persons as well." Marion Jackson is Professor Emeritus of Ecology at Indiana State University, former chairman of the Indiana Chapter of The Nature Conservancy, and past president of the Indiana Academy of Science. Marion is recognized as Indiana's premier ecologist and is editor of the book, The Natural Heritage of Indiana. In 2008, The Natural Heritage of Indiana aired as a four-part documentary series. Documentary filmmaker Samuel Orr spent more than two years working with Mr. Jackson in turning the book into the series. He is also author of 101 Trees of Indiana: A Field Guide. As professor at Indiana State University, he taught and researched plant ecology, landscape ecology and natural history. To learn more on Mr. Jackson, click this link for a wonderful biographical article written by Ouabache Land Conservancy Board Director, John O. Whitaker, Jr. This article was published in the 2006 Proceedings of the Indiana Academy of Science 115(1):60-70. Dr. John O. Whitaker, Jr.
John O. Whitaker, Jr. obtained his BS and PhD degrees at Cornell University, Ithaca, New York, receiving his PhD in 1962. He then came to Indiana State University, where he has spent his entire professional career. He was instrumental in starting the ISU Center for North American Bat Research and Conservation, and was its director since its inception in 2005 until his retirement in 2012. He has spent 63 years studying the mammals of Indiana, with particular emphasis on their ectoparasites and food habits, with bat biology occupying much of his time for the past 25 years. He is author of The Audubon Field Guide to Mammals, Mammals of the Eastern United States (with W. J. Hamilton, Jr.), Mammals of Indiana (with R. E. Mumford), Ectoparasites of Mammals of Indiana, Mammals of the Northeastern United States, Field Guide to Mammals of Indiana, several chapters in books, and over 420 scientific publications. He coauthored “Bats of Indiana,” the first in a series of state bat books for the general public produced by the ISU Bat Center. Many of his papers have been on ectoparasites or food habits of mammals from throughout the World. He is currently finishing up "Mammals of New York" with others. Marty Jones has been a member of the Ouabache Land Conservancy since 2012. Marty has assisted the OLC on several projects, including new website, brochure and policy development. Marty is an avid photographer, particularly wildlife photography. Since 2005, he has photographed 333 different bird species within the state of Indiana. Many of his nature and portrait photographs are used in OLC's publicity. Marty works as a Safety and Compliance Consultant for the Indiana Electric Cooperatives. Another hobby is working to restore his 14-acre property within the Otter Creek watershed. He lives with wife Stephanie, daughter Addison, four dogs, and one indoor housecat. Larry Owen is Consulting Forester living in Terre Haute. Larry has a Bachelor of Forest Science degree from Lincoln Christian College with additional education from the University of Illinois, and Christian Ministries and Education. Larry has extensive experience in the forestry business. From 1968-1981, he worked as a District Forester with the Indiana Department of Natural Resources, Division of Forestry. Since 1981, Larry has operated his own Consulting Forester Business with a current staff of three foresters and one full-time forest technician. Services provided in his business include timber harvest selection and marketing, appraisal of timber, forestland sales and purchase for investment, investment analysis, timber stand improvement, tree planting, inventory and management planning, woodland wildlife planning, and urban tree appraisals. Larry maintains memberships with the Society of American Foresters, National Association of Consulting Forester, Indiana Woodland Owners Association, American Forestry Association, and many others. Lisa Baer is a life-long resident of Terre Haute, Indiana and lives beside the Wabash River. She enjoys nature and is concerned about restoration and conservation of riparian lands. Her hobbies include photography, music, traveling, and writing. She is the wife of local-river enthusiast and owner of the Wabashiki Inc. educational website, Thomas Baer. Amber Slaughterbeck, also known as the “Turtle Girl,” is a Regional Specialist for Southern Indiana Cooperative Invasives Management. Amber graduated with a double major in Social Sciences & History with a minor in Environmental Studies from Saint Mary-of-the-Woods College. As a student of “The Woods” she founded the Sustainability Club, focused on “green” habits and environmental issues. Amber is also the Founder of the Wabashiki Turtle Research & Rescue team in West Terre Haute, IN. Founded in 2009, the volunteer team has since rescued over 3,000 turtles from the historical Highway 40. For the past six years she served as a Naturalist at the state and county parks where she battled invasive species with environmental education programming and eradication workshops. She serves on the board of Trees Inc. and Ouabache Land Conservancy. She volunteers with several organizations including Catholic Charities, Wabash Valley Audubon Society, and the Vigo County Public Library. Amber is excited about the opportunity to make a difference for wildlife working for SICIM’s “Indiana Invasives Initiative”. In her free time, you can find her with her family kayaking, mountain biking, hiking, at the range or native gardening. Dr. James H. Speer is a Professor of Geography and Geology at Indiana State University. He received his bachelors and master’s degree from the University of Arizona in Geosciences and his PhD from the University of Tennessee in Geography. He is a biogeographer who uses tree-ring to reconstruct environmental variables such as fire history and insect outbreaks. 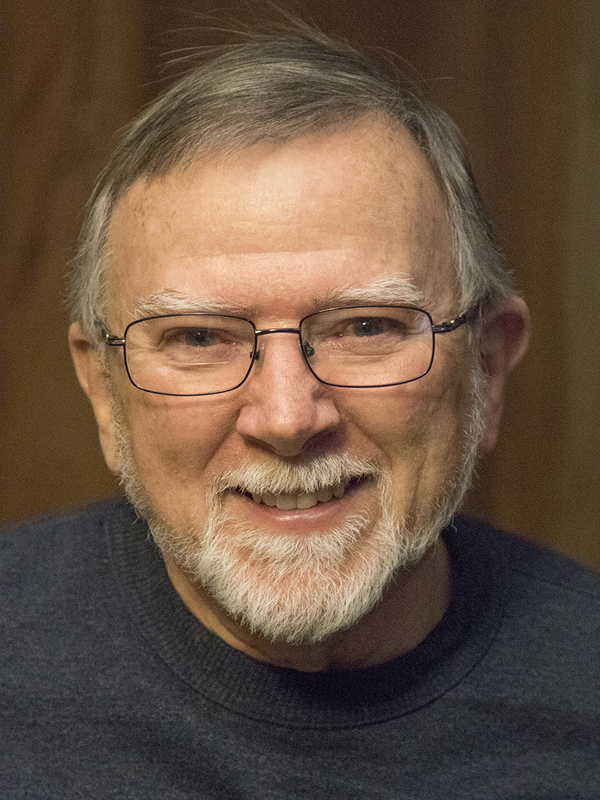 Through his years of studying environmental history he has realized that humans are operating outside of the natural range of variability for most natural systems which has motivated him to give back to society by being a champion for sustainability at Indiana State University and in the Wabash Valley. Dr. Speer is the lead PI and the Senior Scholar for the Institute for Community Sustainability which was established in February 2012. He is the President for Our Green Valley Alliance for Sustainability, on the steering committee for the Terre Foods Cooperative Market, on the Tree Advisory Board for ISU, is a past president of the Geography Educator’s Network of Indiana, and is a past president of the Tree-Ring Society. He lives in Terre Haute Indiana with his wife who also teaches at ISU and has a PhD in Anthropology and his two sons Leif (6 years old) and Lewis (4 years old). Emily Bruner, Bill Mitchell, Dave Burns, Mary Beth Eberwein, Dan Griggs, Ted Harris, Marion Jackson, Robert Jean, Carissa Lovett, Gerald McGlone, Mike Moloney Karen Moffett, Raoul Moore, James Nardi, Fred Nation, Marshall Parks, Patrick Ralston, Keith Ruble, Jane Santucci, Peter Scott, Jim Sullivan, Gerald "Bud" Sharp, Dennis Tarasi, T.J. Hellmann, and Jeff Fisher.